It was the prospect of oro – gold, which prompted settlement of early Canada. 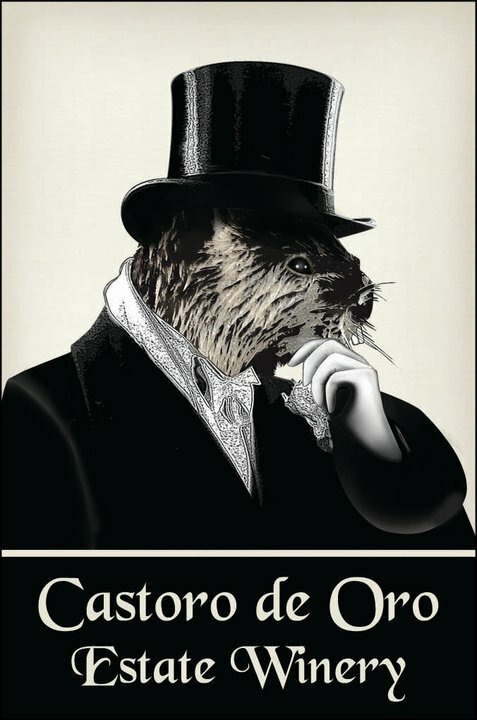 As prospectors carved the mountainsides, one of nature’s most intelligent creatures, castoro – beaver, built dams, flooding and ultimately creating rich agricultural soil. The beaver’s ability to make changes to the landscape is secondary only to man. Canada recognizes this noble creature as the emblem of national sovereignty. The handcrafted Castoro de Oro Estate Wines reflect the natural flavours of our terroir and are a tribute to our country. Our 8-acre Vineyard and Wine Shop is located in the Golden Mile grape-growing region of Oliver, BC. The Vineyard was planted in 1980-1981, which makes it one of the oldest in the area. Our vineyard’s location in the famed “Golden Mile” alluvial soil deposit and southeast aspect with excellent exposure to sunshine, results in full flavour and aroma development. The vineyard slope keeps the vines safe from late spring or early fall frost problems, allowing the grapes to ripen fully. The vines are planted to the foot of a mountain, which provides evening shade, resulting in a rapid cool-off during summer, which prevents the grape acids from dropping and results in a fine balance between ripe, sweet fruit and firm, clean acidity.